Why Isn’t The Marijuana Legalization Movement Donating More Money To Bernie Sanders? To this point in the U.S. presidential race, the kingmakers of the marijuana movement haven’t been feeling the Bern, as in Democratic candidate Sen. Bernie Sanders of Vermont. Last summer, when Republican candidate Sen. Rand Paul of Kentucky held a closed-door fundraising event at the Cannabis Business Summit in Denver, marijuana activists eagerly backed his campaign. In total, the board members and political action committees (PACs) of the marijuana organizations Marijuana Policy Project (MPP), National Organization for the Reform of Marijuana Laws, (NORML) and National Cannabis Industry Association (NCIA) contributed $24,500 to Paul, who is co-sponsor of the Carers Act, which would protect state medical marijuana programs from federal interference, among other marijuana reform legislation. Now, Paul is out of the presidential race, and another candidate has taken an even stronger stance on marijuana reform: Sanders, who in October proposed ending the federal ban on marijuana altogether. 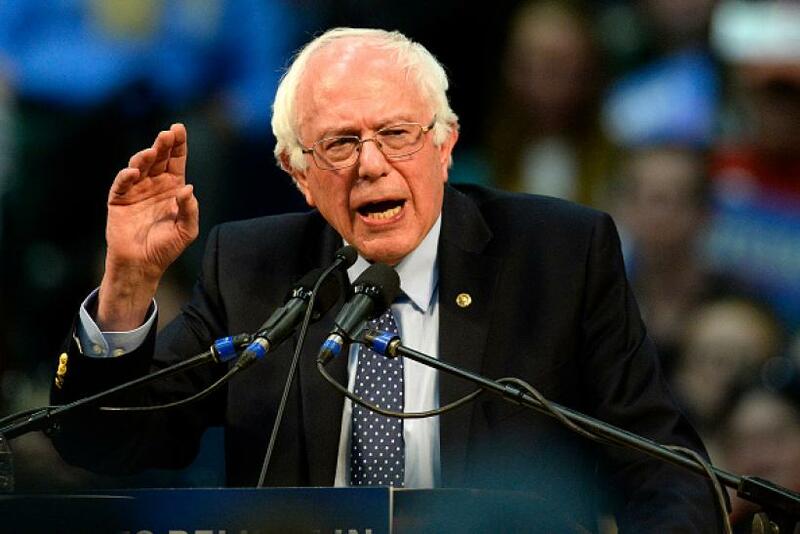 “There is no comparison to presidential candidates other than Libertarians or Green Party candidates to what Bernie has done [with respect to marijuana] in his candidacy,” said NORML Executive Director Allen St. Pierre. But so far, Sanders has yet to receive the same level of support that Paul received from the marijuana establishment. According to Federal Election Commission records, Sanders had received only $1,000 from a handful of MPP, NCIA and NORML board members by the end of 2015. And while last spring MPP Executive Director Rob Kampia announced on Facebook that the organization’s board had endorsed Paul in the GOP primary elections, there has been no similar public pronouncement that the board also endorses Sanders in the Democratic primaries. While the funding disparities may be frustrating for grassroots marijuana activists who support the Sanders campaign, an examination of campaign finance reports over the years indicates the uptick in excitement over Paul’s campaign last year was an exception in the marijuana movement, which for the most part has been reluctant to fund any presidential campaigns. Since 2002, the four most recognizable marijuana groups — NORML, MPP, NCIA and the Drug Policy Alliance (DPA) — and affiliated organizations and individuals have donated less than $1 million in all to federal candidates and PACs, not counting lobbying costs. During that same period, gun rights groups spent more than $19 million on federal contributions and the beer, wine and liquor industry contributed more than $100 million, while gay and lesbian rights organizations donated almost $6 million during the 2012 election cycle alone. And of the marijuana groups’ federal contributions, less than $40,000 went to presidential contenders. The lack of presidential-campaign dollars reflects a belief among those in the marijuana movement that contributions have more impact going toward other candidates and initiatives that have the potential to truly shift marijuana laws nationwide. Despite Sanders’ recent pledge to the contrary, cannabis activists have learned over the years not to expect much from presidential administrations when it comes to marijuana reform. But some observers say that if marijuana advocates ignore the 2016 presidential election, they could be in for a shock. For years, NORML had to seek out pro-marijuana candidates to spend the small amount of money its PAC would raise, St. Pierre said, and many times those candidates would return the contributions, fearing the stigma attached to cannabis dollars. These days, however, it’s different. “Today we have so many requests for support from candidates and so little money to spend, we have to be more judicious,” he said. Now, NORML’s executive board and St. Pierre vet potential donation recipients, considering the nuances of their marijuana stance and that of their opponents. The NCIA, MPP and DPA have different policies for deciding on political donations. For example, DPA doesn’t have a PAC that contributes to federal campaigns, but its executive director, Ethan Nadelmann, runs a non-connected PAC, Drug Policy Reform Fund, that contributes to federal candidates. But those associated with the four organizations all have something in common: They end up giving very little money to potential presidents. Before the contributions to Paul’s campaign last year, the only time since 2002 that a marijuana organization donated a considerable amount of money to presidential contenders was when those associated with DPA donated first $3,400 in 2007 and then $8,275.80 in 2008 to Democratic presidential candidates such as Hillary Clinton, John Edwards and Barack Obama. One reason for the comparative lack of presidential contributions is that the marijuana movement, although growing, is far from flush in cash. “Unlike the gay rights movement, where you have a large number of affluent people who can write big checks, the drug policy movement doesn’t have that,” said DPA Executive Director Ethan Nadelmann. And the handful of big donors the marijuana movement has courted can come and go: Once Peter Lewis, the well-heeled CEO of Progressive Insurance Co., left MPP’s board in 2010, lobbying efforts and political contributions by the organization dropped considerably. At DPA, Nadelmann said, “I am raising roughly $15 million a year between DPA and its political arm Drug Policy Action” for ballot initiatives and other state efforts. That vastly overshadows the $30,000 and $50,000 he’s raising annually through the Drug Policy Reform Fund for federal campaign donations. However, hardly any of the little money these marijuana groups have devoted to national elections has landed in presidential-campaign coffers. The proportion of money spent on such campaigns becomes even more miniscule once the amounts these organizations spend on lobbying efforts are factored in. While NORML spends very little on lobbying, according to OpenSecrets.org, DPA, MPP and NCIA have together spent more than $5 million on Washington lobbyists since 2002. Why aren’t presidential candidates getting more love from marijuana advocates? It’s partly because of the belief that federal campaign dollars would do more going to members of Congress through contributions to election campaigns and PACs, since it’s in Congress where many ongoing industry headaches are likely to be alleviated. “Things like banking and [taxes], while they can be influenced by the president, they are ultimately resolved at the congressional level,” said NCIA Deputy Director Taylor West. It’s why repeated recipients of the marijuana organizations’ dollars include U.S. Reps. Earl Blumenauer, D-Ore., who has introduced bills to fix cannabis tax loopholes and allow Department of Veterans Affairs doctors to recommend medical marijuana; Dana Rohrabacher, R-Calif., who has attempted to alter the Controlled Substances Act to longer apply to legal marijuana; and Barbara Lee, D-Calif., who has authored legislation to prohibit medical-marijuana-related asset forfeiture. Plus, some marijuana activists indicated they believe it doesn’t matter who next inhabits the White House. They think marijuana reform has reached a point where legalization is a foregone conclusion, no matter who is the president. “One-third of our country’s population will be voting on some form of legalization this fall, and when that happens, and people see the sort of tax revenues coming out to places like Colorado, I don’t see any candidate having any success scaling it back,” said Kayvan Khalatbari, co-founder of Denver Relief marijuana dispensary and consulting group and member of the NCIA’s board. In general, Democratic candidates have been more willing to embrace marijuana reform, St. Pierre said. “Until very recently, one would be hard-pressed to find Republicans on the state or federal level who would want to be identified as receiving endorsements or donations from a marijuana law reform group,” he added. Still, he believes marijuana organizations like his own have to become increasingly bipartisan. “From my analytical viewpoint, we are not going to advance reform as fast if we don’t get a plurality leading to a small minority of Republicans in favor of it,” he said. Some say that unless marijuana activists begin taking an active role in the 2016 presidential election, such reform efforts could be derailed. While the most anti-marijuana presidential candidate, New Jersey Gov. Chris Christie, has dropped out of the race, his recent endorsement of billionaire businessman Donald Trump has led some marijuana advocates to fear a future in which Attorney General Christie shuts down cannabis markets nationwide. It’s why Tripp Keber, owner of Denver edibles company Dixie Elixirs and a board member of both NCIA and MPP, reckons that at some point over the next few months, “Either us as a company or a local industry group will likely play an important role in raising money for a presidential candidate,” although he’s not yet ready to say who that candidate is going to be. Editor's note: This article has been changed to clarify Drug Policy Alliance's federal donation process.